Ayers-Elliott had several goals in mind as she worked to get her farming operation going: 1) She wanted to create a business that could sustain her economic needs; 2) She wanted to grow food that she could make available to people living in the food deserts around her; and 3) she wanted to develop a model for small farming that involved the community, creating jobs and offering opportunities for people to learn how to grow their own food, and also grow a sense of their own potential. 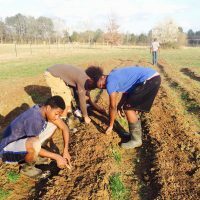 With the help of people like Dr. William (Bill) Evans, associate research professor in vegetable crops and soil fertility with MSU, Howard Ashford, A. Shae Williams and Ayers-Elliott’s sons, Foot Print Farms started with a few raised beds of herbs and vegetables, and evolved to the modern farming operation it is today. 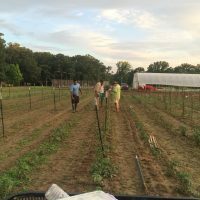 Some of the keys to Ayers-Elliott’s success are her embrace of the latest technology, her use of the resources available and the diversity of her production, which now includes row crops, high tunnel green houses, and aeroponic gardening – producing a wide variety of fruits, vegetables and herbs, as well as goats and chickens. 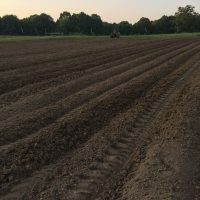 About 85 percent of improvements to the farm were made possible by NRCS subsidy programs for small urban and rural farmers. For example, the Environmental Quality Incentives Program (EQIP) helped her install cross-fencing and two watering facilities. 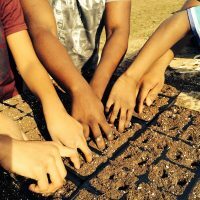 These days, Foot Print Farms is making fresh, naturally grown food and education about healthy eating available in many underserved Jackson neighborhoods, by partnering with churches, schools, foundations and community organizations. 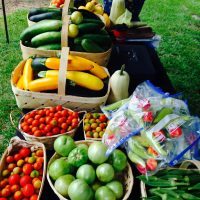 It is fostering skills and knowledge about growing, tending and marketing food products by reaching out to community members who become willing partners by giving of their time and sweat equity to make the farm successful. 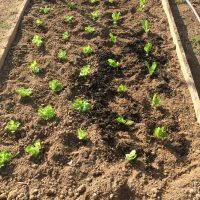 In return, they can earn their own plots of land to grow their own crops.